Hauppauge Digital is expected to release its $199 “Broadway” box by late July or early August. The device enables viewers to use Wi-Fi signals to watch TV on mobile devices or via a Web browser. It features a multi-format TV receiver that can tune QAM digital and ATSC over-the-air SD and HD channels. Broadway operates much like the Slingbox device, but without an extra fee for mobile viewing. The box currently works only with Apple’s mobile devices (iOS 3 or higher), but can be used with both Mac and Windows PCs. The much anticipated Apple Worldwide Developers Conference kicked off Monday of this week in San Francisco and continues through tomorrow. To gets things rolling, Apple CEO Steve Jobs delivered the opening keynote and, as expected, focused much of his presentation on the company’s initiatives regarding cloud computing and related services. Some analysts are commenting that Jobs was not only introducing cloud initiatives during the keynote, but attempting to redefine the very notion of the technology. “It just works,” was Jobs’ repeated mantra while he appeared on stage, suggesting that with iCloud, “Apple is transforming the cloud from an almost tangible place that you visit to find your stuff, to a place that only exists in the background. It’s never seen. You never interact with it, your apps do — and you never realize it. It’s magic,” reports TechCrunch. 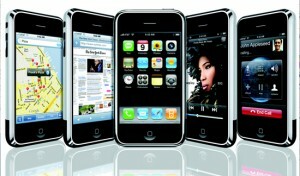 Apple previewed iOS 5, the latest version of its mobile operating system (the company also released a beta version to iOS Developer Program members). The beta release includes over 200 new features available for the iPhone, iPad and iPod touch by the fall. Features include: Notification Center for managing notifications in one place without interruption; iMessage service for easily sending text messages, photos and videos between iOS devices; and Newsstand for organizing newspaper and magazine subscriptions. Which Smartphone OS will Come Out on Top? Nick Nero provides some interesting perspective in this month’s Connected World Magazine regarding which smartphone OS will become the dominant global platform by the end of the year. 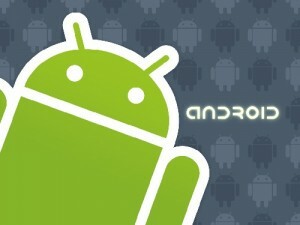 The short answer according to Nick: Google’s Android. The article provides an interesting overview regarding the progression of RIM’s BlackBerry, Apple’s iPhone, Windows Mobile devices — and the growing worldwide adoption of Android devices. It further points out that Android will continue its dominance throughout 2011 based on several key factors: Open Software Architecture (“arguably Android’s biggest competitive advantage”), Open Marketplace (consumers recognize “the benefit of a free-market approach to smartphone apps and this will continue to push Android to the head of the pack”), and More Partners (Android “is available on devices from practically every carrier in the country”). Most of our readers have probably been following the recent news regarding consumer fears that iPhones and other smartphones are tracking users’ location information. 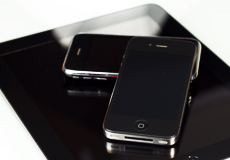 It was recently discovered that phones operating on iOS and Google’s Android platform transmit the devices’ locations back to the respective companies. Apple has defended the need for location data to provide optimum service and provided clarification by explaining an individual cannot be located using the data. The Wall Street Journal reports that Apple defends its process, but nonetheless announced a planned software update that will reduce the size of the database cached on the phone and hopefully alleviate user concern. More than a year has passed since Final Cut Pro’s last release, but the word is out that Apple has plans for a Spring announcement. Apple recently invited a small group of professional video editors to the Cupertino campus for a test run. According to TechCrunch, early reports from those who demonstrated the new version suggest that the changes are “dramatic and ambitious” and may address concerns that Apple has turned its focus regarding video editing from the professional to the consumer space. The new version of Final Cut Pro is said to be a “major overhaul” reports 9to5Mac, including a new user interface, 64-bit compatibility, and architectural enhancements. 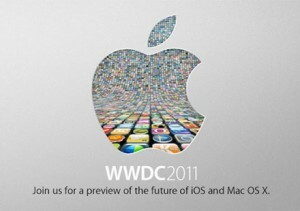 TechCrunch reports Apple has plans to release the new version of FCP in Spring 2011, in a launch possibly coinciding with April’s NAB conference. IntoNow is a new iOS app that identifies and tags live TV shows in realtime, creating something similar to Shazam, but for television rather than radio. Users press a button on the app interface while viewing a television program and, with the aid of a platform called SoundPrint, the app uses the program’s audio for identification within 4-12 seconds. The results appear on the iPhone or iPad screen and can be shared via social networking entities such as Facebook or Twitter, or can be added to a Netflix queue. Engadget has a video demo where the user is watching CNN on a laptop (place-shifted via SlingBox), and uses the IntoNow app on an iPad to identify the TV stream. Based on the sharing features, users can also see what their friends are watching, check out program info for selected shows, and even leave comments. Social interaction is taken to the next level with push notifications in which the app lets users know when their friends are viewing the same content. This is yet another step toward media content sharing that may significantly impact consumer viewing habits. Engadget reports that the initial launch is iOS only, but the company has plans to tackle other platforms such as Android.